Have you ever wanted to know opinion of your users? 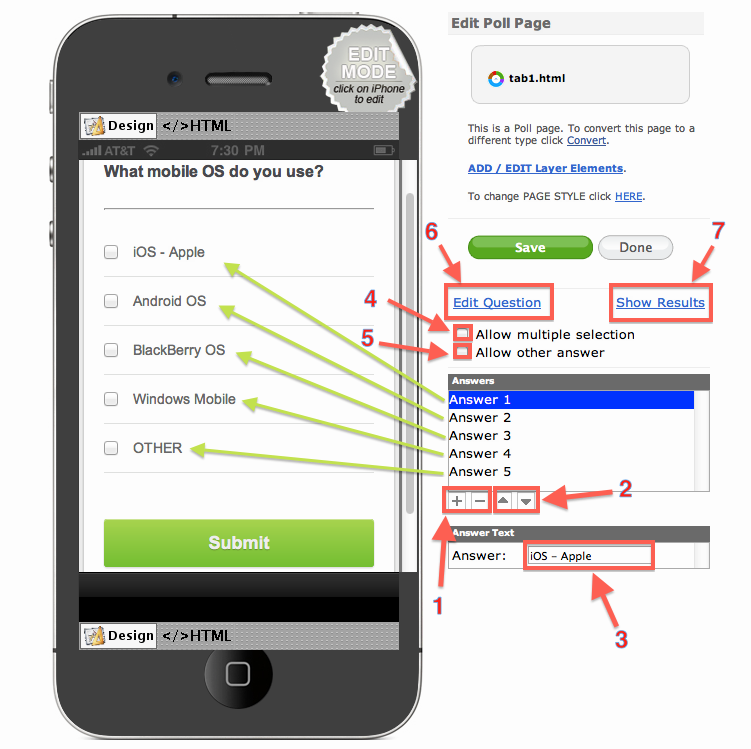 Now, with App Builder's POLL page type you're able to create your polls and publish them on your app in less than 5 minutes. 1. In order to add a new Poll page to your app access its Dashboard. Go to Edit Pages menu then click the "+" (Add New Page) button. 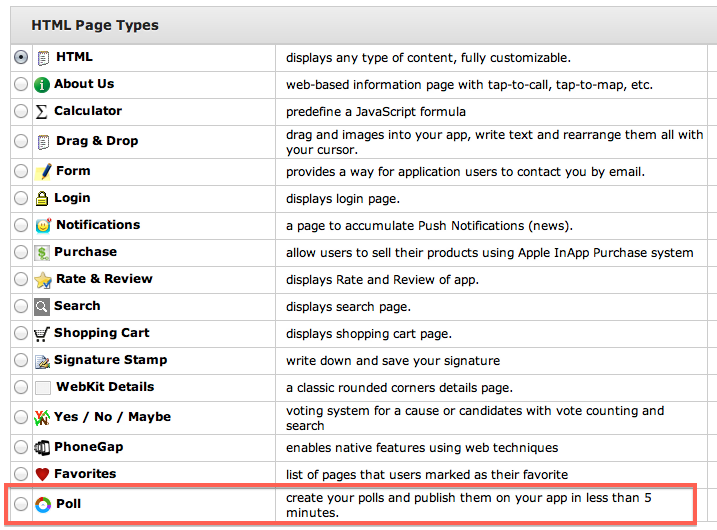 From the list of the page types available select the Poll one and click the "Create" button. Once the page is added, you are able to proceed with editing it. 2.1 Press "+" for adding a new answer field or "-" for deleting it. 2.2 Change Answers order in your Poll page. 2.3 Write in this field the answer text. 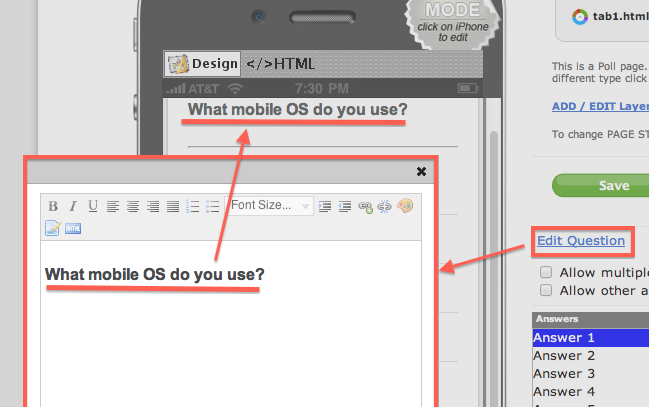 2.6 Click on "Edit Question" for adding or editing your Question. 2.7 Click on "Results" for viewing current poll results. 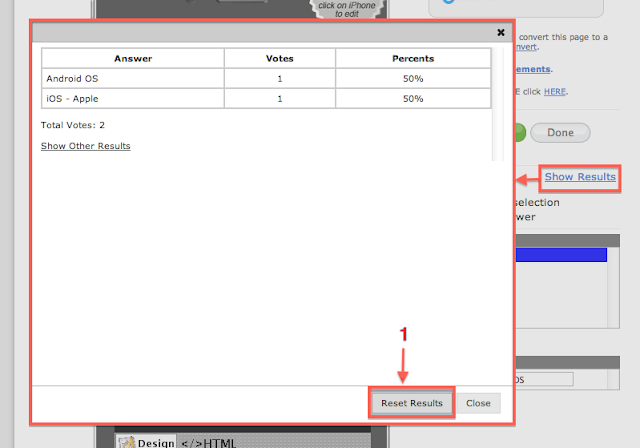 2.7.1 Click on "Reset Results" for reseting current poll results. THIS PAGE TYPE IS NOT YET AVAILABLE ON ANDROID.